When you think of propane for home use, it’s likely that you think of an outdoor grill and a summer barbeque. Bet you can even smell those burgers cooking! However, propane has wider uses than simply as a source of heating up our grills. Propane can heat our homes, light our home, supply heat for our clothes dryers and run our generators. Want to heat your pool? Make sure you have an endless supply of hot water? You can count on propane to meet all of your gas needs! You can also count on Diversified Energy to meet all of your propane needs. From various storage tank options to reliable home delivery, Diversified Energy puts the “pro” in propane! Clean: approved under the 1990 Clean Air Act, propane is not a greenhouse gas, which means it burns cleanly and does not emit high levels of carbon monoxide or nitrogen oxide as does other fuels. Available: the U.S. produces an abundant amount of propane; it is more readily available than gasoline and diesel. Affordable: propane prices are much more economical than other types of home heating fuels. Safe: propane is not dangerous to the soil or water and propane vapors are not harmful to humans and animals if inhaled. Home-grown: as of 2011, nearly 70 percent of propane was produced by the U.S. and Canada. Efficient: easier to store and transport than natural gas. So, you now know the benefits of propane and might be ready to use it as your main source of energy for heating and cooking. What now? Well, in all cases Diversified Energy is the answer! 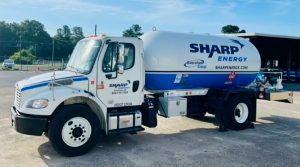 Our propane services include an automatic home delivery system that allows us to monitor your propane use and deliver a resupply without you having to make a phone call or worry about running out of gas. We currently provide home delivery to more than 23,000 customers and would love to add you to our growing list of satisfied propane users! 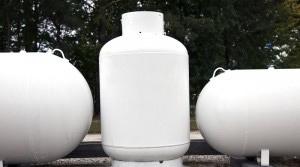 Having enough propane on hand is never an issue with our storage tank options. From 120-gallon tanks for space heating and water heating to 1,000-gallon tanks for large home heating purposes, Diversified Energy makes sure you always have an ample supply to meet your particular needs. If for any reason you find above ground propane storage tanks an unsightly addition to your property, you could opt for an underground storage tank. We are fully equipped to handle the sale or lease of these types of tanks. Want to heat your water in the most efficient and affordable way possible? You can do so with our tankless technology. 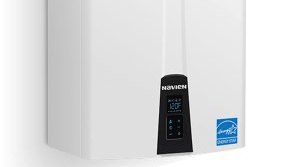 Simply set your desired temperature and step into a hot shower or bath. There’s no money wasted on heating up water that’s going to simply sit in a tank. 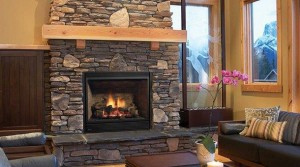 Fireplaces are always a warm and welcome sight in any home, and Diversified Energy has a wide selection of propane, natural gas, wood- or pellet-burning units you can choose from. From free-standing stoves to built-in fireplaces to fireplace inserts, you’re sure to find exactly what you’re looking for when you shop our available products. Once you’ve made your choice, our professional installers will be on hand to turn your vision into a reality. So, you’re having a new home built and have made the wise choice to use propane as your main gas source. What can Diversified Energy do to help? Well, just about everything! From layout to installation, our experts will make sure your new home has the appropriate gas system it will need for your heating and cooking needs. We’ll design and install the piping, install the storage tanks, test for leaks and adjust the pressures as needed, hook up your gas water heater and deliver the propane as you need it. We’ll even obtain any necessary permits required before we begin the install. We’ll also act as sub-contractors if you have chosen a natural gas system. Great Ideas – Learn more! With Diversified Energy, it’s convenient one-stop shopping! If you want to learn more about propane and its uses or have any questions about our products or propane services, don’t hesitate to contact Diversified Energy.